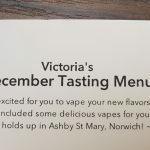 Zamplebox were very kind to offer Dean and I the opportunity to receive a Zamplebox to enable me to review some flavours, and Dean to check out what Zamplebox is all about! Dean has already mentioned on his Monday Night Live that we are not being sponsored or paid for this and has already been going through the flavours he has received. 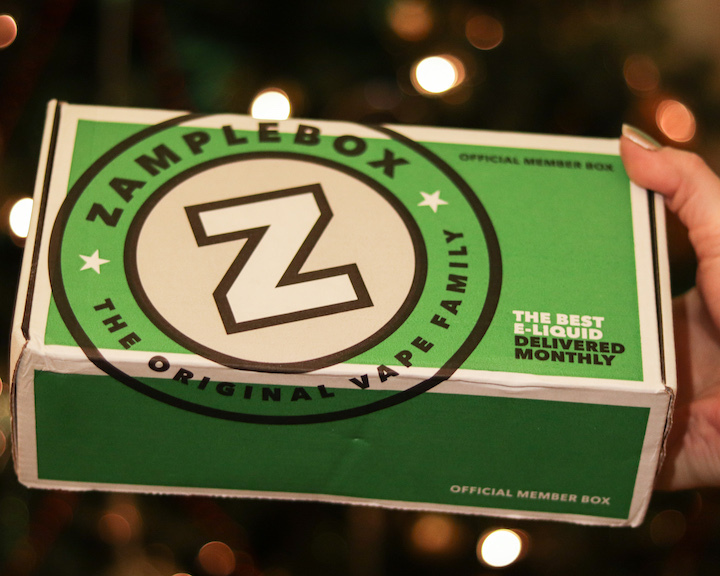 I will be reviewing a chunk of the ones I have received through the power of the written word, but the purpose of this post is to go through how ZampleBox works for those who are interested or just plain curious. On the home screen in big bright green letters is ‘Start My Box’. When you click this link it will bring up a page where you can opt-in or out of the major flavour profiles, then hit continue. Now you can be very specific on the juice flavours you would like to get either by selecting their suggestions or typing in your own. I have no idea how many you can key in. I got to 40 (to test it) then gave up. The next page allows to to add your dislikes. Now this one is restricted to just 10. Here is what I keyed in as an example. Next is your preferred nicotine strength and then comes the size of box you would like. The prices are in USD but I have added the Sterling for this article, converted at the time of writing this, but it should be pretty near to what you see. Once selected it will give you a little taster of your first box and the cost. 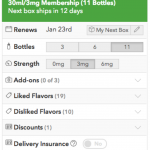 I ran through a test as a new order while writing this to be a little more thorough in my thoughts of the experece, and it said my ‘6 bottle subscription’ would retail at $99, saving $65. The savings obviously increase the larger the box though. Shipping looks to be about $7/£5.48. I think this is pretty reasonable, as long as I read the website correctly. They also offer Delivery Insurance for an extra $15 per month. If you select this option and have an issue with delivery, they’ll send you a new one no questions asked. They recommend considering this insurance if you are going to spend over $75. However if you do have any issues or questions, they have a very good FAQ section. After the above, pop your payment details in, setup your account and away you go. The first box is on the way within 1 – 2 working days. I was super excited when my box arrived. Neat and packaged very well. When opening I was greeted with stickers and my menu. I have to say I really liked the look of the menu created for me. They have listened to my likes and dislikes and out of the 11, there is only 1 I am not liking the sound of. What I also like about the menu is the little personalised message I received from Ian @ ZampleBox and it was all Christmassy. The really appreciate the little finishing touches. Back to the website. Under your profile you can do the ‘norm’ like change your personal details, but you can also change what you would like in your next box. 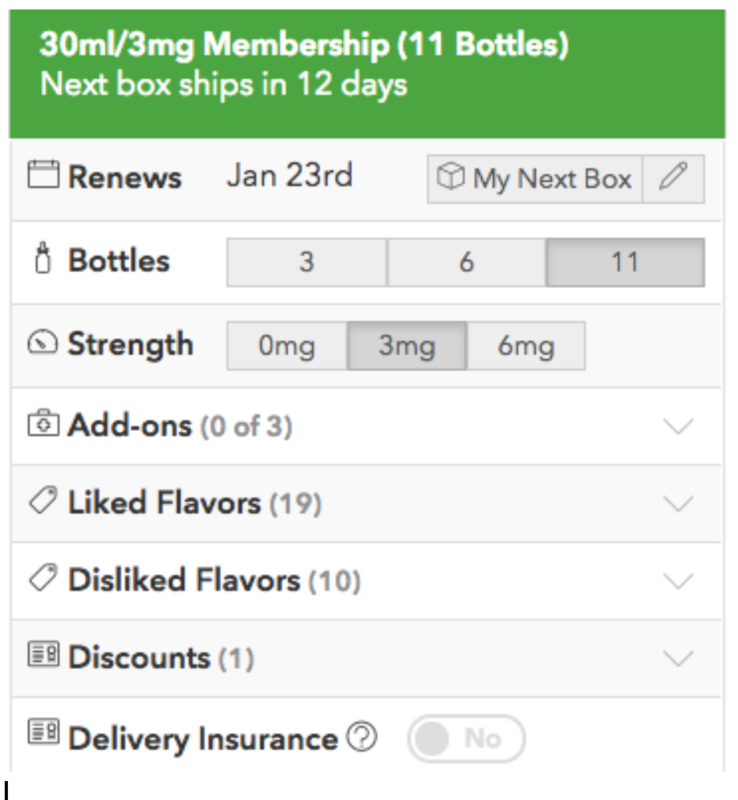 You can adjust the flavour likes and dislikes you originally set up (see image for where to find this, look for the down arrow on the right and you’ll see it next to the area you want to edit), however you can also pick some bottles you would like to try in your next box by clicking on ‘My Next Box’. For the 11 bottle box, you can pick up to 5. I am a fan of this option. I think it’s cool that you can pick something you would like to try or not if you want to keep it a complete mystery. You also have the added option of asking them to send it early. This can be located under ‘My Next Box’. These can be found in the image above. On your profile you can also rate and review the juices you have received and it will keep a track of the ones you have really liked during your subscription. By reviewing them you could earn yourself ZBucks, which can then be converted to free items from the site. 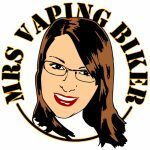 You have the option of chosing Add Ons to your box (at a cost) like coils, wire or more juice. You can also purchase hardware, ZB merch or try their own juice range. So I think I have talked about everything that they have to offer and how they work. Overall, I am impressed, I think it’s a good subscription box and the pricing is really good for what you get. The box I received would have cost me $190/£148 but with the subscription it was only $54/£43. That impresses me. My only hesitation is that if I find a juice I adore, can I get it in the UK? There are some brands I recognise from UK conventions but the majority are unfamiliar. I will cross that bridge when i get to it and tell you more of my experience in upcoming reviews. 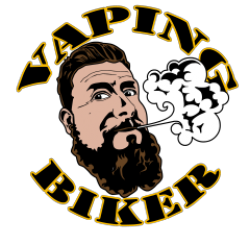 Anyway, I have already got stuck into the juices I have received and will be grouping them up for the reviews so stayed tuned for those.